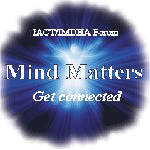 hypnosis articles, scripts, passages, hypnotic inductions, newspaper stories about hypnosis, book excerpts, hypnosis blog excerpts, techniques and more. The International Alliance of Professional Hypnotists is the parent company of the International Association of Counselors and Therapists and the International Medical and Dental Hypnotherapy Association. As one of the largest international complementary healthcare organizations in the world, we take great pride in bringing to our members the wealth of information contained herein. This site allows members the freedom to search and access filed information by using their log-in number and password. The resource section of this site is jam-packed with useful information in the form of hypnosis articles, scripts, passages, hypnotic inductions, newspaper stories about hypnosis, book excerpts, hypnosis blog excerpts, techniques and more. Our members have access to literally thousands of hypnosis related catalogued pages. This is THE place where hypnosis practitioners can learn, gain additional insight and gather information for ongoing education in their personal and professional development. Member Accounts are available to members of IMDHA and IACT and provide access to Member-only information. If you are not a member of our international hypnosis organizations, consider joining today. 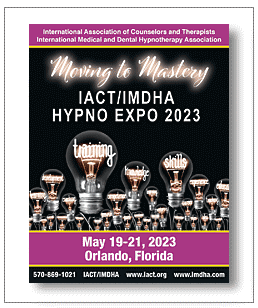 Membership in IMDHA and IACT offers you countless ways to pursue your love of the hypnosis profession, including exclusive members-only magazines, valuable hypnosis store discounts and opportunities to increase your participation in complementary healthcare activities. We invite you to join the ever-growing team of hypnosis professionals who already know why IACTand IMDHA are the Leaders in International Organizations for practitioners in Hypnosis, Hypnotherapy and Complementary Healthcare.